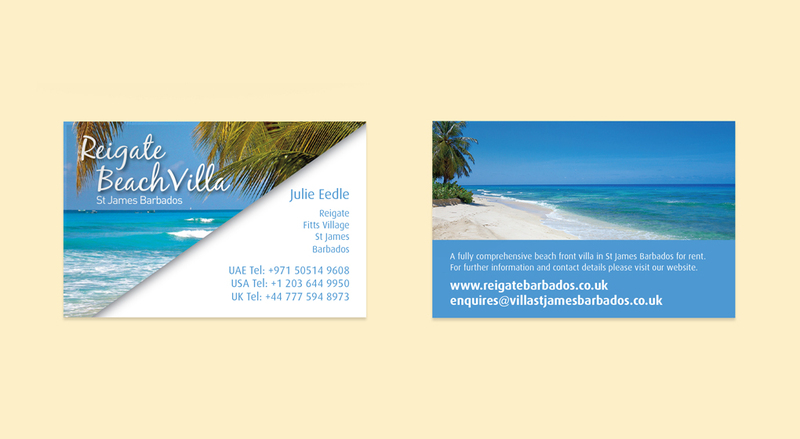 New branding and website design for a privately owned beachfront villa in Barbados. 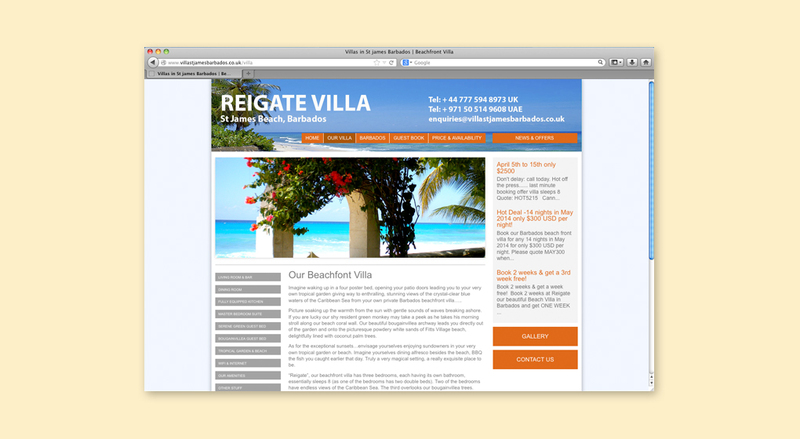 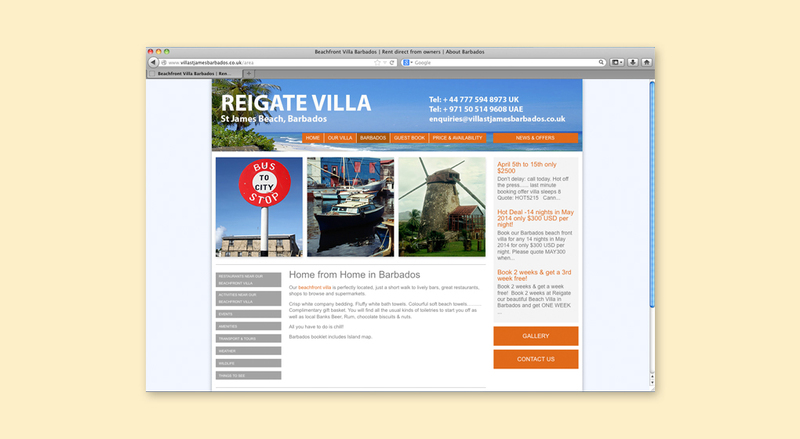 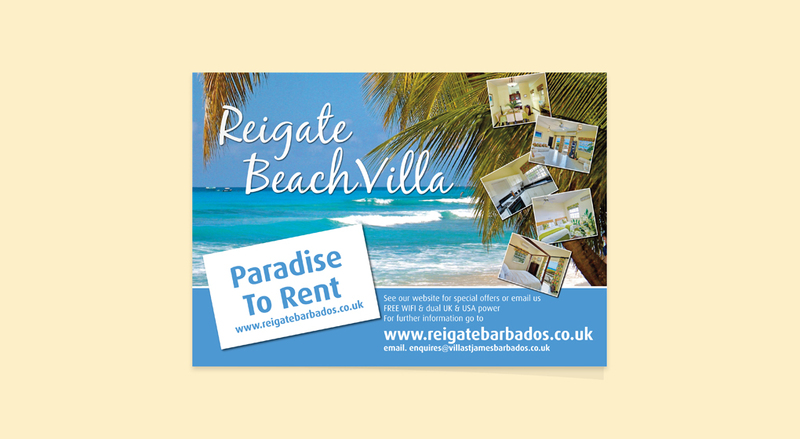 "Reigate" is a stunning beachfront villa. 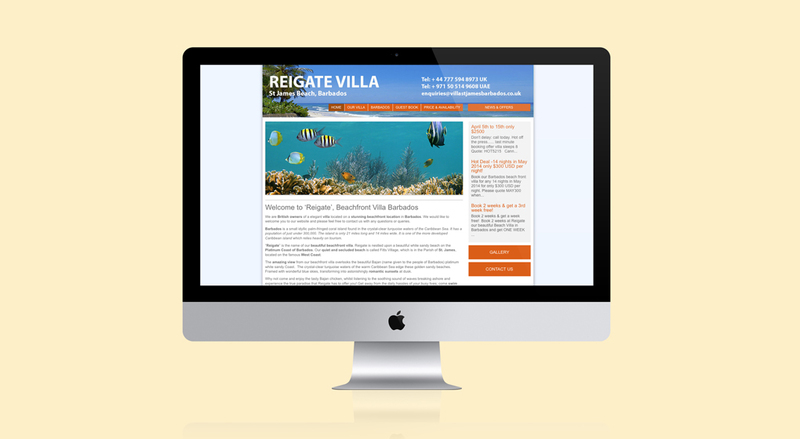 the owners wanted to were looking to create a brand identity to target the luxury direct rental market and develop branding and new website design. 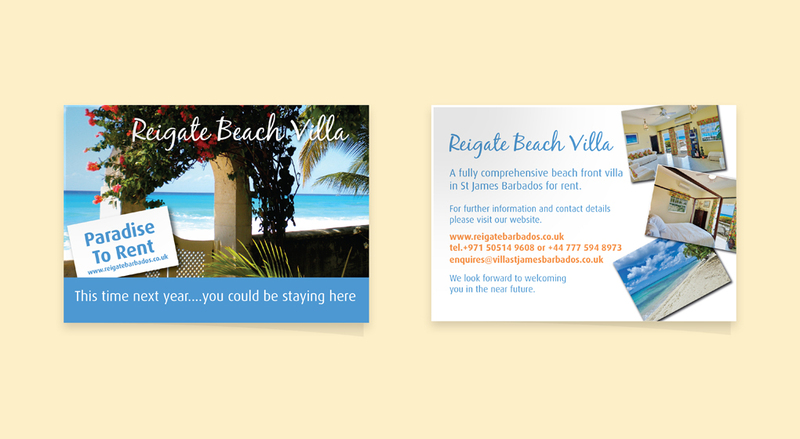 Snap Marketing were commissioned to manage the logo development, website design and graphic design for supporting collateral.